The University of Balochistan was established in June-1970 through an Ordinance issued by the then Governor Balochistan. 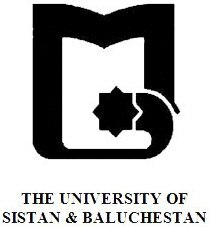 In June 1996, the Balochistan Assembly passed an ACT called the University of Balochistan ACT 1996. Thus the University of Balochistan became the sole general University of the Province imparting Higher Education to the entire population of the province in Science, Arts and Humanities. The University initially started with three departments i.e. Physics, Chemistry and Geology. With the passage of time, we have now 34 departments, Two Institutes (Institute of Management Sciences and Institute of Bio-Chemistry) and five specialized centers (Center of Excellence in Mineralogy, Pakistan Study Center, Area Study Center, Balochistan Study Center, Center for Advance Studies in Vaccinology and Bio-Technology) of higher studies and research, one constituent Law College and 88 affiliated colleges including an Agriculture College, Bolan Medical College and the Command and Staff College, Quetta. Four year Bs program has only been started in the Department of Geology, Computer Science, Micro-Biology and Education. In almost all the remaining teaching department Master program is being pursued. The current enrolment is over 6,000 in 41 degree (7 undergraduate and 35 graduate) programs. a. Open Merit Balochistan 10%. b. Open merit Quetta District 15%. c. Open Merit: District other than Quetta. 75%. d. A number of seats are also reserved for other disciplines. The University of Balochistan campus is ISO 9001:2008 and ISO 14001:2004 certified. To be a model public University providing affordable, quality, higher education opportunities to develop the potentially rich human resource in Balochistan through knowledge centered teaching and research while maintaining and fostering high levels of ethical and professional standards and promoting national identity. • Functioning as a student-centric institution dedicated to academic excellence, tolerance and fairness. • Maintaining and fostering highest ethical and professional values while teaching students to seek knowledge analytically, be creative, communicate effectively and become technologically literate to meet the emerging needs of our society within the global village. • Ensuring and supporting faculty and staff to continue their professional and intellectual development. • Enhance the existing capacity of vaccine production, research capacity of the faculty of Center of Advanced Studies in Vaccinology and Bio-technology (CASVAB) and upgrade it by giving it autonomy and make it a financially sustainable body in future. • Its short term ambition is to be rated amongst the top TEN Universities of the country. • The long-term goal is to be initially grouped/included in the top 500 Universities/Institutions of the world. Authorities: The following shall be the authorities of the University. 4. The Board of Faculties. 5. The Board of Studies. 7. The Advanced Studies and Research Board. 8. The Finance and Planning Committee. The University started with 3 departments in 1971 and over the period of 41 years the number of department has reached to 34 described above and 04 Centres plus two institutes. The average annual growth rate is almost one per year. B-Type residences - 14 Nos. C-Type residences – 16 Nos. Duplex Type res: - 10 Nos. D-Type residences – 64 Nos. E-Type residences – 64 Nos. F-Type residences – 16 Nos. G-Type residences – 77 Nos. Flats (two bedded) – 28 Nos. Family Hostel – 12 suites & 44 rooms. Girls Hostel – 61 rooms. Visiting faculty Hostel – 8 suites and 4 bedrooms. Students Hostel – 15 blocks 9 (2100 students or 1/3rd of total enrolled students).